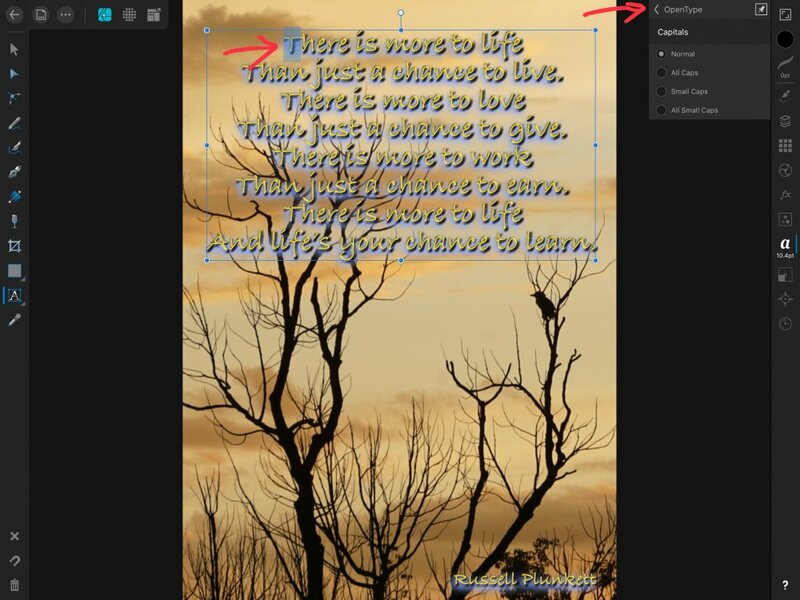 I transferred a file, entirely created in Aff.photo from Photo to Designer. There I was hoping to add some fancy swirls etc. to the capitals of my text since it is a poem. I find after highlighting the capital in the text no typography in open text is available. See screenshot. It looks as though you’ve used Bradley Hand. 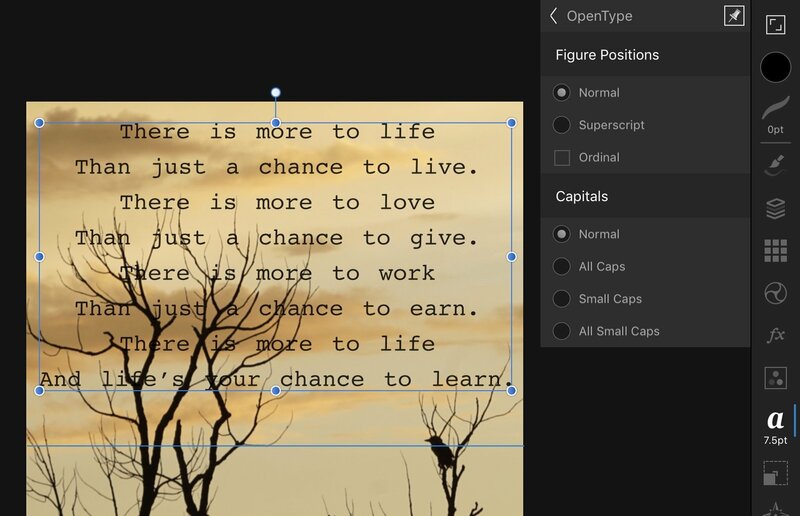 In the absence of any numerals (where ‘Figure Positions’ options would come into play) the only OpenType features available for the selected text are the ones shown in your screenshot. If you want to use swashes and flourishes, you will need to choose a different font. Ok, tried a lot of different fonts including the most common ones. inthe picture I used courier and removed all fx effects, just in case, but still no swatches or stylistic alternatives. See image.